Slip-and-fall accidents often involve tripping on an object, stepping into an unmarked hole, or falling off an unsecured edge of a walking surface. One of the most common slip-and-fall accidents involves slipping on liquid on a surface. Many times, these accidents cause serious injuries, including broken bones and torn ligaments and in some cases, traumatic brain injuries. Frequently, the results of these injuries are: Expensive medical bills Lost wages from missed work Ongoing and long-term physical therapy Pain and anxiety Prioritizing After a Slip-and-Fall Injury Your priority after suffering a slip and fall injury should be healing. However, it can be difficult to focus on your recovery when you're worried about the legal and financial aspects of your case will affect your life. If you're like most injury victims, you're wondering where you will find the money to pay for your medical expenses and it's particularly upsetting when you have to make up for lost wages. No matter how simple or complicated your slip and fall claim, you should hire a lawyer to protect this interests of yourself and your family. You may only need someone to answer your questions and be available if a problem arises. We can do that as well. But you may need an experienced advocate who can aggressively pursue your rights and Pellegrini, Seeley, Ryan & Blakesley, P.C. has been doing that for over 40 years. 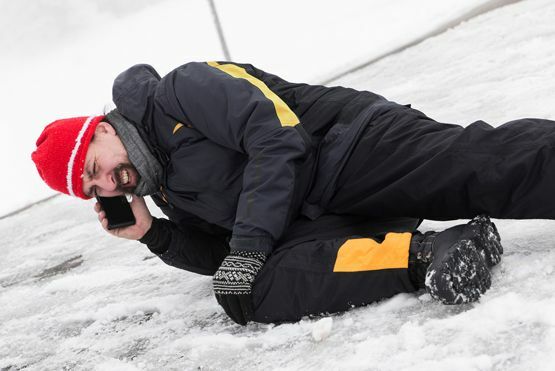 We will aggressively pursue claims for benefits from the initial filing of the claim through all stages of a slip and fall claim.